Benjamin Button wasn’t the first film star we saw age backwards. Jeff Bridges lost more than a beard in Tron: Legacy, and the wrinkles have evaporated from Patrick Stewart’s face in more than one X-Men movie. But there’s something about seeing Sigourney Weaver and crew as they were in ‘79 that tickles the nostalgia glands just so. Check out the picture below. 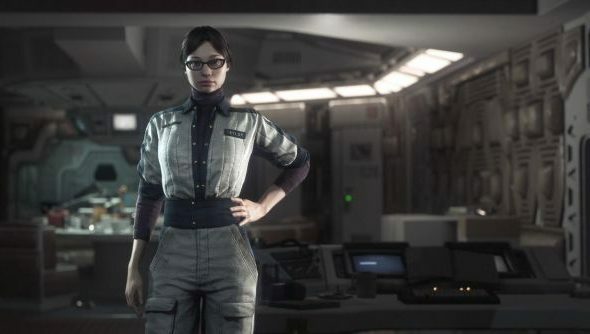 Weaver and key cast members from Ridley Scott’s Alien have lent their voices and faces, as they were three decades ago, to a couple of levels in Creative Assembly’s Alien: Isolation. Ripley is joined by Dallas (Tom Skerritt), Lambert (Veronica Cartwright), Brett (Harry Dean Stanton), Parker (Yaphet Kotto) and Ash (Ian Holm). The levels won’t feature in the main game, which stars Ripley the younger, Amanda, in a search for her missing mother. Instead, they’ll be available as pre-order DLC. “Working with the original cast has been an incredible experience,” said Isolation’s creative lead, Alistair Hope. “It was important to us to have the key original cast members reprise their roles in order to perfectly capture the atmosphere of the movie. The two levels will recreate scenes from the 1979 film. One, named Crew Expendable, will be included in the game’s Nostromo Edition. That’ll cast players as Ripley, Dallas or Parker, luring the alien into an airlock in the aftermath of Brett’s death. The other, Last Survivor, is available only from selected sellers in the UK. That’ll track Ripley’s escape from the Narcissus. Not bad, eh? Perhaps the cast were impressed by Alien: Isolation’s dedication to low-fi sci-fi.